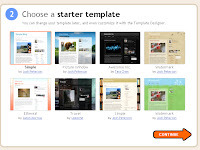 The Art of Blogging: Starting a Blog with Blogger Part 4: Choosing a template. Starting a Blog with Blogger Part 4: Choosing a template. One of the great features baked into Blogger is that you can make it look however you like with just a couple of clicks. The Templates control the look and feel of your blog and how the parts of your blog are arranged. Blogger has some great choices right out of the gate, and you can customize them all. 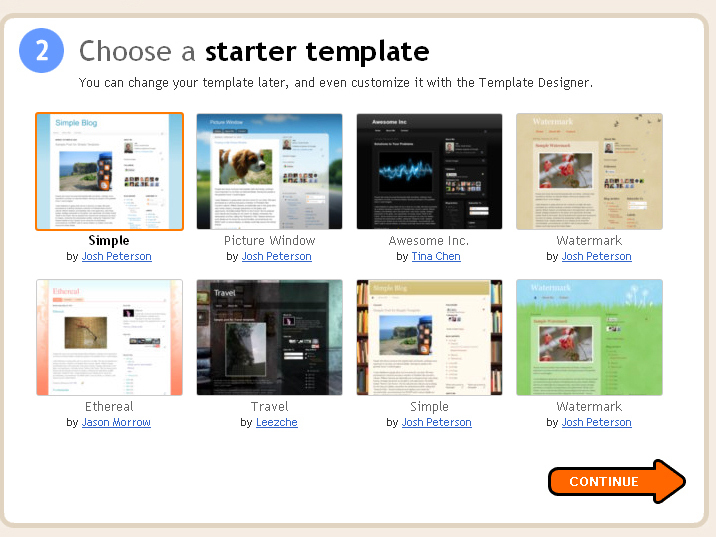 You can also change them again and again, and even go looking for third party templates later. When you sign up, you have to choose a template to start. In the previous version of Blogger's interface, this required a separate step. Scroll through the options, and the thumbnails will give you an idea of how they will look. Click the preview link and a larger image of the template will open so you can make sure you like it. You can preview as many options as you like. 3. After you've decided, click the radio button to select your choice. Blogger will display a little "congratulations" screen confirming you blog has been created, and you can start posting.